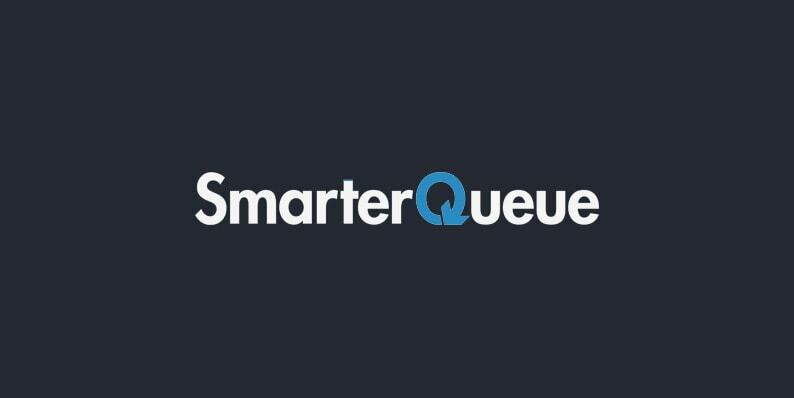 If you’re an online retailer, one of the most important aspects of your business is making sure your products get to your customers without damage. 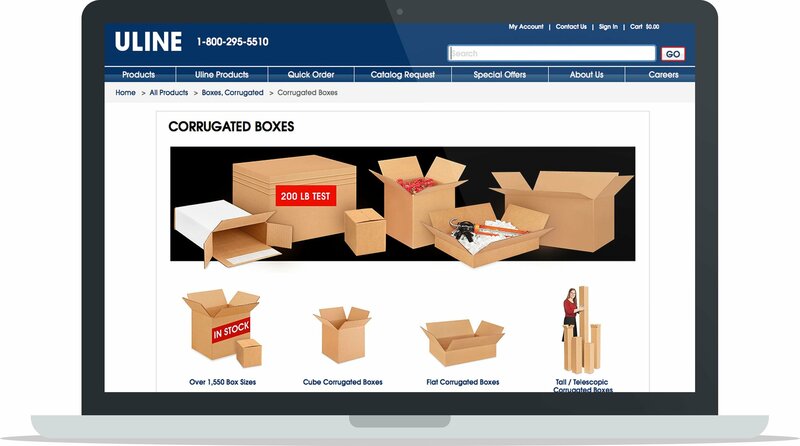 Getting shipping boxes to customers safe and sound helps reduce returns which ultimately affects your profitability, as does choosing the right type and size of shipping boxes and mailing envelopes. With the increase in online shopping, it’s not unusual for consumers to get several packages a day. Shipping boxes from Zappos and Amazon are familiar to most so does it matter if yours stands out? And if so, why? The short answer is that branding your shipping boxes can also have a positive impact on your bottom line, and is something I’ll discuss in greater detail later in this post. As I mentioned, getting your order to your customers without damage is a top priority. To do that, you’ll need to determine the best type of shipping container for your products. Unless you’re creating a custom shape and size, you have two options for your shipping container: Using mailing envelopes or shipping boxes. Read on to see which option works best for your product line. Apparel and other soft-good retailers with light, sturdy items are good candidates to use mailers instead of boxes for shipping. Sometimes a combination of mailing envelopes and boxes works for your company. You might use a great-looking box for large orders but use a custom printed mailer envelope for smaller orders, especially if you’re a clothing brand. The most important advantage is that mailing envelopes are less expensive than corrugated shipping containers. In addition, they occupy less space on a truck or in your warehouse so the inbound shipping and storage costs are minimized. They also reduce packing labor because they do not have to be set up or taped. Most mailing envelopes have a peel and seal strip that eliminates the need for additional tape to secure the contents. However, the greatest advantage is their flexibility in sizing. There is no oversized penalty being paid because whether you are shipping one or three t-shirts, for example, the mailing envelope is always the perfect size. Do you need cushioned or non-cushioned protection? How many ink colors and what type of graphic design and printing do you want? What is your order size? Plastic Mailing Envelopes: Like other types of plastic, these envelopes are available in a variety of compositions, including the amount of recycled content and recyclability. Minimum order amounts vary. 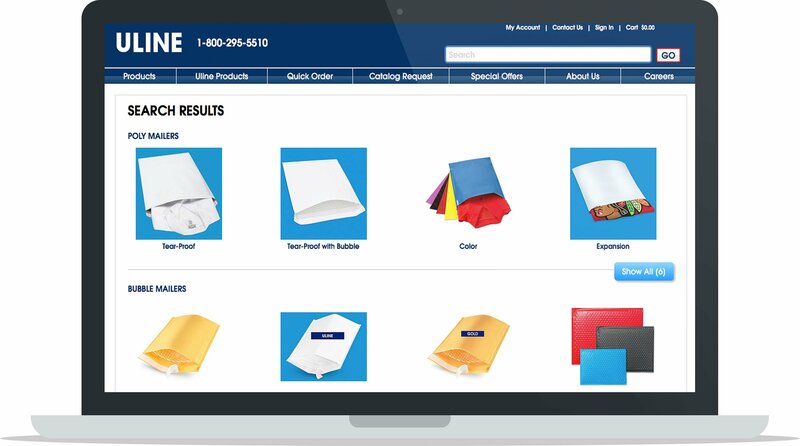 Paperboard Mailing Envelopes: These are commonly referred to as rigid mailers or Stays Flat® mailers and are designed to remain flat during shipment. They are also made in a variety of styles including board thicknesses and colors. Additionally, they are mostly used for documents, calendars, books, etc. and print up beautifully. Paper Mailing Envelopes: Also can be coated in paper finishes or contain composition. You can choose between heavily recycled paper or some that are almost entirely new content. They are relatively affordable and have a much lower minimum order quantity when you use custom printing instead of plastic. However, they are limited in design and color because they are usually printed on flexographic equipment. You need to ask yourself this question: Is it absolutely necessary to include protective cushioning around your product? Cushioning adds extra costs, and is often unnecessary. For example, Salazar says, many customers ask for a “bubble mailer” to be used when shipping out t-shirts and other soft goods. If your answer to the cushioning question is yes, Salazar suggests bubble-lined mailers because they are lightweight and effective. However, they generally have a high minimum order quantity for custom printing. If you have larger or heavier products, you might need to consider using shipping boxes for your orders. Who needs all this filling? These folks are so cheap they can’t send my items in the right size package! If they can’t get the box size right, what else are they doing wrong? Any or all of these reactions can negatively impact your brand. A smaller shipping container uses less material for a lower cost per unit. A smaller shipping container is also a less expensive option because it’s easier to store and ship from your home or fulfillment center to the customer. Choosing the right sized shipping boxes for your products can reduce the amount of void fill and cushioning you need. Keep your shipping boxes more secure and protected for shipment by minimizing unnecessary space. This will also reduce product damage. It can become overwhelming trying to pick between the sizes and shapes of the shipping boxes you can pack your products in. The common way to select a shipping box is to place your product into a package with minimal extra space. This allows room for protective cushioning. Be aware of using a shipping box that is too large for your product. It can put the items at risk of damage or increase shipping costs due to its size. If you’re selling products that are different sizes and shapes, have shipping boxes that accommodate each of them ready to go. Pro Tip: Use shipping boxes with at least 2 inches of cushion against every side to protect the contents. Dimensional pricing plays an important part in deciding shipping box choice. If you ship with UPS or FedEx, you are probably aware that both carriers use dimensional pricing to determine package shipping costs. 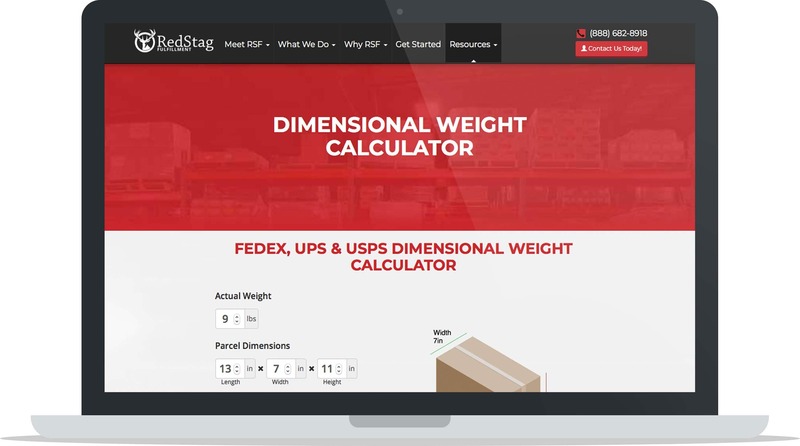 The implementation of dimensional (DIM) weight pricing in 2015 by UPS and FedEx changed shipping forever. The new method no longer charged businesses to ship based on how much their packages weighed, but instead by how much space they took up in their trucks. Find the dimensional weight of a package by measuring the length, width, and height of the package in inches. Make sure to use the longest point on each side, taking into account any bulges or misshaped sides. After, multiply those dimensions to get the cubic size of the package. It’s common for carriers to implement pricing changes annually. If you haven’t checked your pricing recently, you might want to do that. Here’s a calculator that will compute it for you from Red Stag Fulfillment. Ultimately, choosing the right sized shipping boxes with a maximum 2” of cushioning and less packaging material will keep your dimensional pricing costs as low as possible, short of negotiating special DIM rates for each carrier or working with a third-party fulfillment house. What are Shipping Boxes Made Of? The most commonly used shipping boxes are the corrugated box, also referred to as an ordinary cardboard box. But there are many benefits to this box which make it the most recommended. They are durable, lightweight, and made in various shapes and sizes. If you sell products of different sizes, it’s most convenient to use multi-depth boxes because they can be cut down into the size you need. Multi-depth boxes are scored at intervals along the sides of the box so you cut it down to the size you need. While this will save you money on boxes, you won’t be able to brand your boxes. Corrugated boxes are made of corrugated paper, which is paper that contains rows of air columns. The paper is much stronger due to the air columns which make them different from typical stiff cardboard. The ridges that are in the corrugated boxes vary based on the strength and flexibility required for the intended use of the box. Also known as “brown boxes,” these boxes are eco-friendly because they’re made of recycled cardboard boxes. They’re strong and can be stacked up for easy and economic transporting. In addition, they are safe and easy to use since they do not have sharp edges. According to Salazar, “The only two ‘standard’ (non-printed) colors for corrugated board are white and natural Kraft which is essentially brown.” Every other color must be printed on the board. Both natural Kraft (brown) and white corrugated board have advantages. Natural Kraft boxes do not need to be printed or processed into its color (hence the word “natural”). 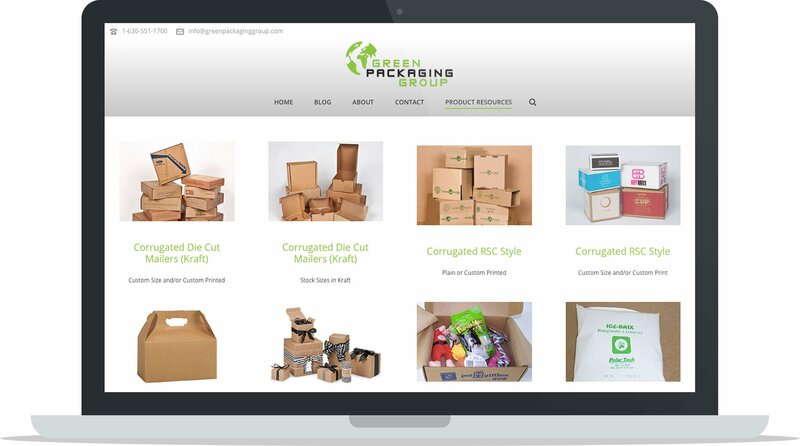 Also, because it’s made with 60-100% recycled content, it’s the greenest packaging material available for ecommerce professionals. To top it off, natural Kraft corrugated boards are less expensive than white. Salazar also shared the advantages of white corrugated board. If you have graphics on your boxes, it might be a good idea to use a white box to make your designs pop out. “Every full bleed or flood coat design in any color (even black) requires a white undercoat so the color being printed over it turns out even and smooth. The end result is always a brighter and truer ink color. When reverse printing (example: turquoise over white – photo shown below), white becomes a second color of the design without the cost of a second ink color or the cost of an additional print plate. White tends to provide more pop compared to a darker, natural Kraft finish,” he says. According to DotCom Distribution’s Ecommerce 2016 Packaging Study, 40% of shoppers say they would be somewhat more likely or much more likely to purchase from a retailer again if they ordered a package online and it came in a gift-like or premium package. This is up from 29% in 2015. In addition, when consumers are excited about a brand, they’re more likely to recommend it to their peers. 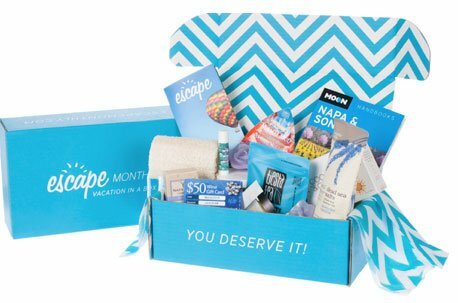 The Dotcom Distribution study found that branded, gift-like packaging also encourages word-of-mouth marketing. 50% of shoppers say the use of branded or gift-like packaging for online orders makes them more likely to recommend the product to friends, compared to 40% in 2015. Printed Shipping Container Minimums are Huge: The minimums for Salazar’s custom printing boxes are 1,000 units. Some larger boxes have the availability to run as few as 500, as long as the board minimum is met. If you’re looking for similar minimums, many companies offer the same deal. Note: Custom printed mailing envelope minimum order quantities range from 200 to 25,000. The Lead Time is Too Long: First time custom printed orders are generally delivered within two weeks. This happens after the customer’s artwork is approved and signed off on the print card proof. 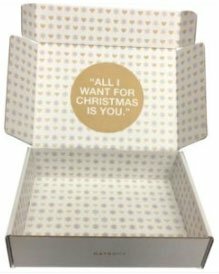 The Cost is Way Too High: Salazar said customers are surprised by how little a basic, one color exterior print adds to the cost of a box. Plate and Artwork Charges Make it Cost Prohibitive: There is no artwork fee required if the delivered copy is crisp and clear (PDF or JPEG works). Plates, which are a one time expense, can be reused indefinitely and remain the property of the customer. 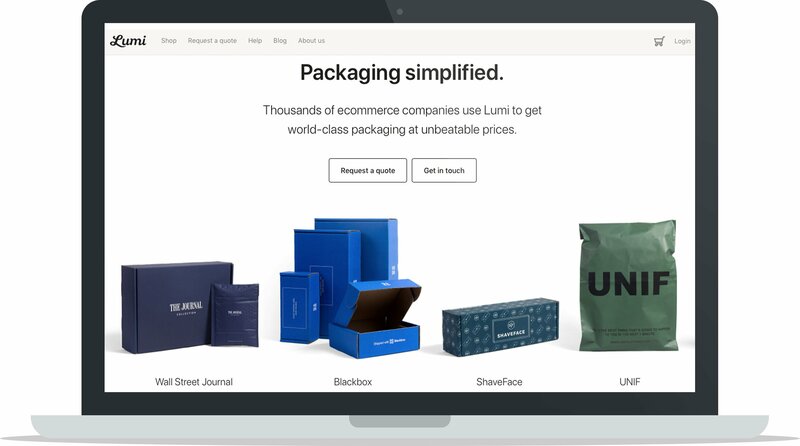 Note: Refine Packaging, Pakible, Arka, Lumi and Packlane are also great options to source branded shipping boxes from with reasonable minimum orders. Check out our full review of Packlane’s features & services here. Companies often become so concentrated on creating their designs (logo, container colors, and graphics) that they overlook their copy altogether. Instabox says this is a mistake because you are missing many branding opportunities. Old Limestone, the maker of the only limestone-filtered Kentucky spring water used for mixing with bourbon, chose to include only branding messages on its box, as seen above. One side explains the mixing water, and the other side offers the story of how the founders decided to create the product. An image of a horse shows across the entire box. Another ShipStation customer, Unzipped Citizen, a subscription underwear and sock club, also communicated their message of gratitude on the inside of their mailer box. They include their logo, website and company address. 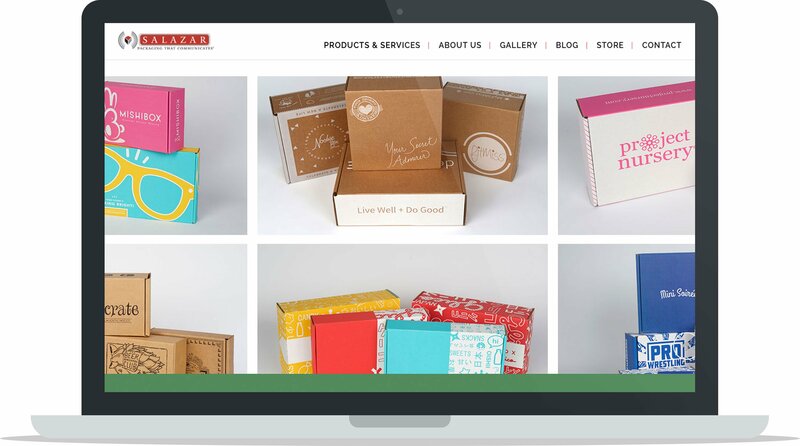 Dennis Salazar, founder of Green Packaging Group designed and printed Unzipped Citizen’s boxes. He said he made sure the copy stood out on the box by choosing a white interior. Additionally he placed the message on the lid to be appealingly visible for the person who opens the box. There’s a great deal of information here. Whether you are starting out, or considering changing or upgrading your shipping container, I hope this information helps you make shipping easier, more efficient and more profitable. 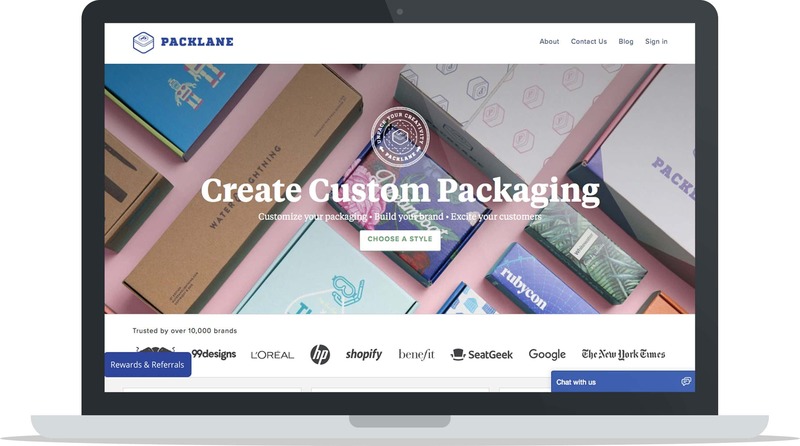 For even more information on custom branded shipping experiences with shipping box and mailers, see the free ebook Brand Your Shipping: How to Overcome the Brand Dead Zone. 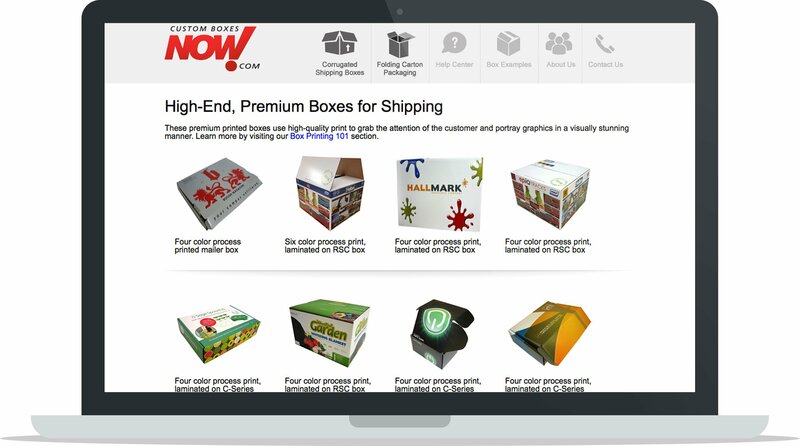 Note: Need to know more about shipping, creating a branded unboxing experience, your shipping carrier options and printing off shipping labels? Check out our Shipping Strategy Cheat Sheet. 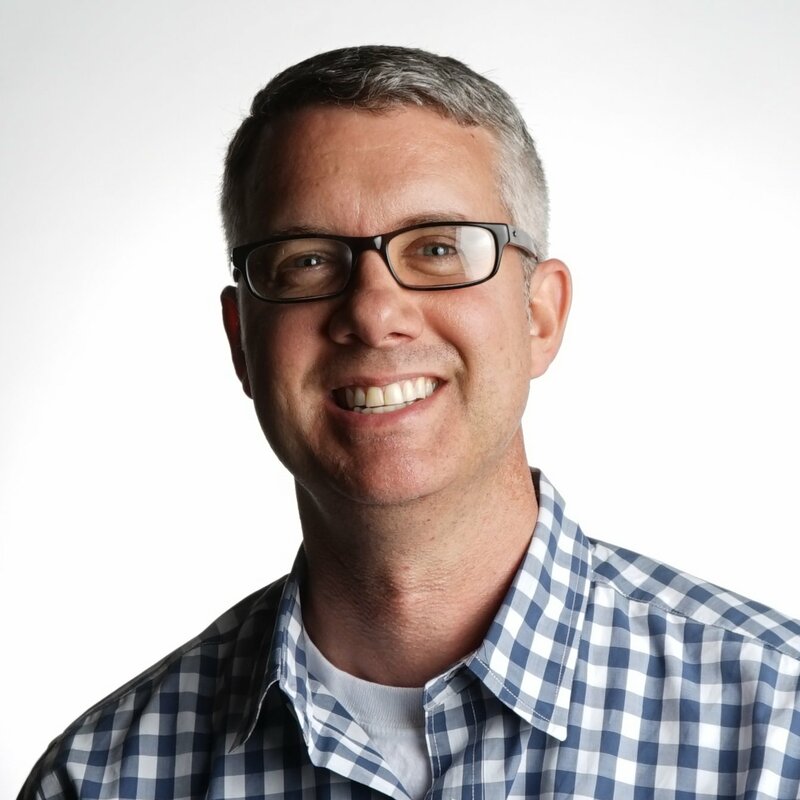 This post is contributed by Robert Gilbreath, Vice President of Marketing and Partnerships at ShipStation. 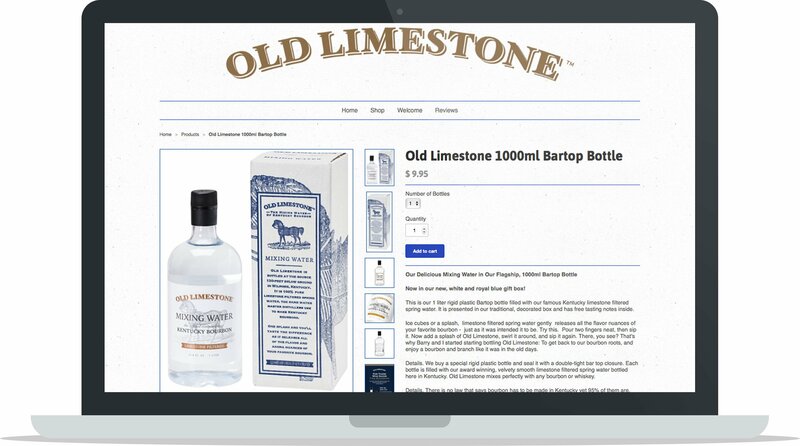 ShipStation is the leading web-based shipping solution that helps ecommerce retailers import, organize, process, package, and ship their orders quickly and easily from any web browser. To check it out via a free trial, visit www.shipstation.com. Thanks for posting my article! Much Appreciated! Hope folks enjoy it and find it useful.